Found near charming Playa del Ingles, BlueBay Beach Club is the ideal spot in which to enjoy stunning natural beauty and endless hours of relaxation. 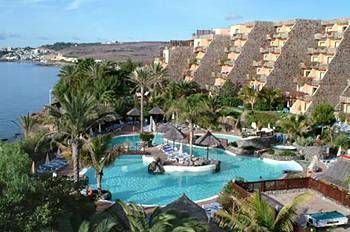 These Gran Canaria timeshare resales are located within the exclusive Bahia Feliz community, ensuring the utmost in comfort, variety and amenities. Gran Canaria in the Canary Islands is one of Europe's top tourist destinations. It features a wealth of golf courses, including the first one in the country. Active visitors love the region because so much recreation is available. Surfing, windsurfing, cycling, scuba diving, sailing, tennis, standup paddle boarding, climbing, hiking and horseback riding all are available in the area. The town of Playa del Ingles offers a wide variety of restaurants, bars and nightclubs. Other towns on the island boast museums of every description, and the island's beaches are gorgeous. There is truly something for everyone on Gran Canaria. The BlueBay Beach Club provides upscale yet family-friendly timeshare accommodations. In and around the lagoon-style pool, guests may relax and play for hours. There's even a separate area just for the kids. With a hot tub and snack bar, the pool complex is both convenient and popular. Health conscious guests will appreciate the well-equipped gym, and an a la carte restaurant serves three delicious meals per day. A mini-market is on site to offer sundries while mementos can be picked up at the souvenir shop. 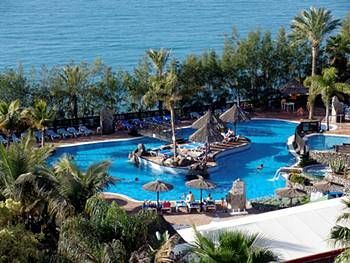 These Gran Canaria timeshare resales include 158 generously proportioned apartments. Full kitchens are standard so that families can easily prepare meals during their stay. A flat-screen television and a sound system ensure high-tech entertainment options at all hours. 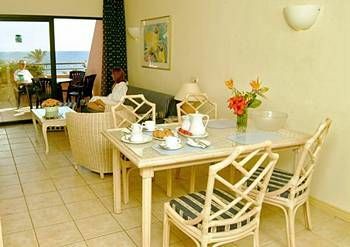 One- and two-bedroom holiday apartments are available with the largest units sleeping six guests. Larger suite-style apartments feature a terrace and private Jacuzzi. Luxurious linens, upscale mattresses and elegant bathrooms ensure a comfortable and indulgent experience. A stay at the BlueBay Beach Club makes it easy to enjoy all of the best that a sunny and beautiful destination has to offer. 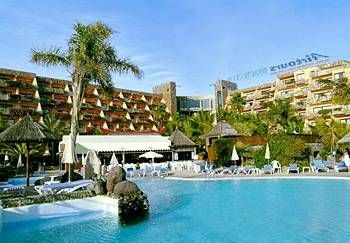 With excellent facilities and spacious accommodations, these Gran Canaria timeshare resales are a reliable choice for anyone who enjoys a beach getaway that guarantees fun. Contact BlueBay Beach Club Specialist Today! Days: Saturday, Sunday, Monday / Time: 2:00 P.M.